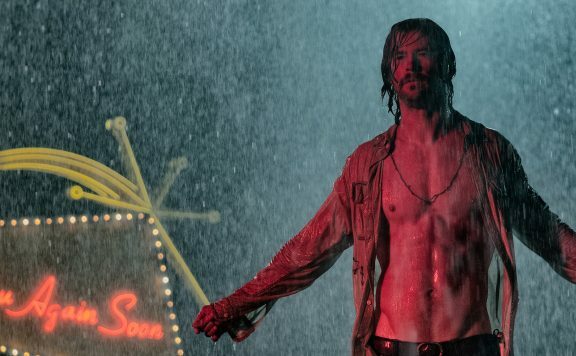 Aaron Neuwirth reviews Bad Times at the El Royale, a mysterious crime thriller from Cabin in the Woods director Drew Goddard. There’s a lot one can get out of movies set at a hotel. A classic such as Psycho may only come along once in a lifetime, but the setting allows for so much room to explore. 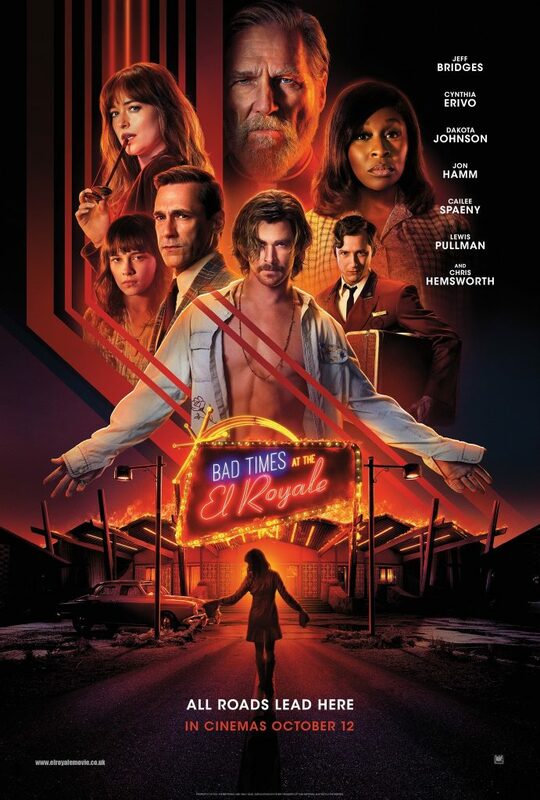 Bad Times at the El Royale goes for a thriller set up, with some occasional humorous touches, playing well to what I like about the scenario. Putting an ensemble cast together as a group of strangers means watching actors sink into a variety of personas and finding the right way to reveal secrets that can move the plot in exciting directions. It’s unfortunate that Bad Times at the El Royale feels like we’re just waiting in the lobby following an exciting first hour that keeps us traveling down a lost highway, but the film is still colorful enough to warrant checking in. Having spent time in the world of Lost and other mystery boxes produced by JJ Abrams, writer/director Drew Goddard seems to be going for something ambitious, following the meta deconstructionist fun he had with The Cabin in the Woods. Presenting The El Royale as a fractured narrative, it ends up feeling like a fairly conventional story that wants to reward viewers by slowly unlocking a puzzle that’s a bit easier to solve than some may think. That’s not to say the film doesn’t have enough to admire, but for a movie with a hefty 140-minute runtime, I wish the thrills were more exciting after the stage is very clearly set. Set in the late 60s, we are initially presented with four characters who arrive at a rundown novelty hotel built on the border of California and Nevada. It allows the film to throwback to retro designs and soundtrack cues and affords the characters an opportunity to revel in particular attitudes to add a further sense of quirkiness. The initial set of people include a shifty priest (Jeff Bridges), a seemingly innocent singer (Cynthia Erivo), an unpleasant criminal-type (Dakota Johnson), and a loquacious vacuum cleaner salesman (Jon Hamm). Once they are all handed the keys to their rooms by the twitchy concierge (Lewis Pullman), the unraveling of the mystery that surrounds these characters begins. It’s not too revealing to alert you that these characters are all more than what they seem, just as it’s not too much to say that Chris Hemsworth enters into this plot in some way as a charismatic cult leader. Everything eventually finds its place in this story, and it does so in a manner that doesn’t speak to the film feeling too proud of itself. There’s more restraint than I expected, which helpfully serves the key performances, but also shows where The El Royale comes up lacking. 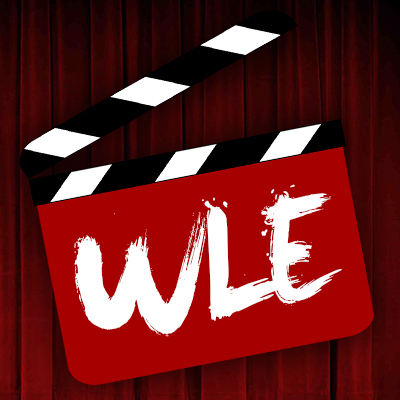 With a film like this, the expectation is set up early on that the audience will come to learn some interesting truths about what is being seen. The film’s cold open promises as much, as we get a sense that something is not quite right in its off-kilter diorama presentation of Nick Offerman’s character stashing something under the floorboards of one of the hotel rooms. Given the presentation of the rest of the film, there’s a continual feeling that the audience is learning just enough detail about what’s taking place, with the hope that something even more audacious is still on the way. The thing is, The El Royale doesn’t end up treading new territory. Goddard is a strong writer, and it shows in the fun he has with his dialogue. It’s not quip-heavy, but there’s witty banter, some repeated turns of phrase that are smile-worthy, and people make enough sense in their delivery to deem these characters as credible enough to themselves. However, while the setting allows for a particular look for the film, there isn’t much that helps The El Royale to stand out. Not everything needs to be some Tarantino-esque opus when it comes to crime thrillers that dole out some dark humor, but it does feel like a certain spark is missing, once we are introduced to most of the main players involved. Still, in the opening hour of the film, there’s a lot to admire. Bridges, in particular, shines in a role that he has decided to underplay. No big accents this time around, he plays a wearier type of person, aware that he has limited time left. Erivo, best known for her stage work, is also quite good here, keeping her innocence held back just enough so we don’t know if we can trust her. Johnson, Hamm, and Hemsworth are all having a blast with their respective roles. They counter the others with much bigger performances, but in a way that doesn’t cost the film anything, as this is still a genre thriller after all. Hemsworth doesn’t get much screen time until the latter half of the film, and when he’s on, he does command the attention of the audience. Fortunately, he’s also taken to task in some interesting ways that suggest Goddard has some understanding of how to filter in some important thematics, even if his film is too bloated to make it count all that much. I wish he could have truncated his efforts and delivered a leaner movie, but he at least seems to be delivering the film he had intended. Rather than provide a crime thriller with the efficiency of Key Largo, we linger long enough to wonder if we’re actually in a purgatory, like the one these characters seem to be a part of in their hotel that exists between states. I wish there were more to speak to as far as the cinematic presentation goes. Seamus McGarvey’s cinematography is top-notch, including a terrific sequence shot in a long-take, which explores the seedier side of the hotel and one of the key dynamics Goddard seems to want to explore. The rest of the film doesn’t quite compensate in any new sort of way, though the atmosphere is held at a consistent level. 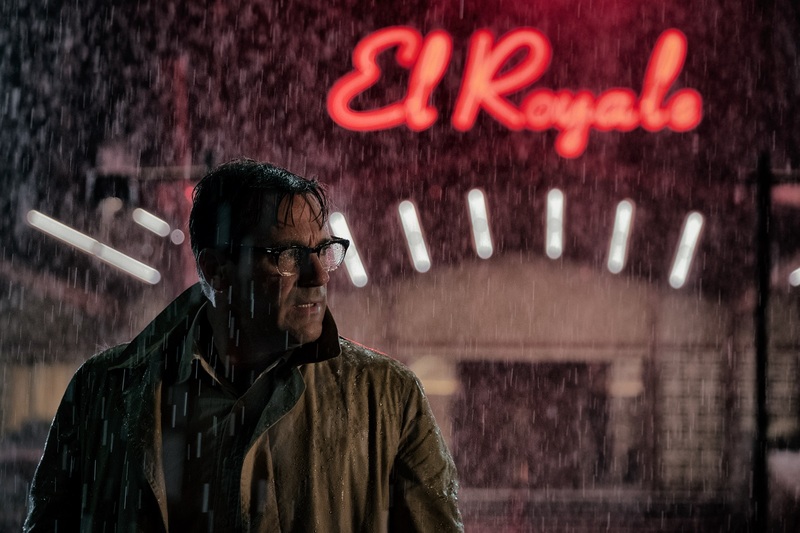 Bad Times at the El Royale is all neon, rain, retro outfits, and sinister edge. That’s enough to make for an entertaining watch, with some excellent acting to boot, but it only accomplishes so much with its stretched-out narrative. “Bad Times at the El Royale” Trailer Starring Jeff Bridges, Dakota Johnson, Jon Hamm and More!